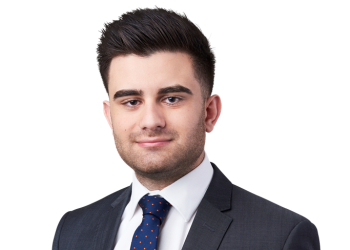 George completed a Bachelor of Laws with Honours and a Bachelor of International Studies with Distinction (majoring in International Relations and Middle Eastern Politics) at Deakin University. Throughout his studies, George also studied International Alternative Dispute Resolution in New York City, and Indian Commercial Law in India. He also holds a Graduate Diploma of Legal Practice from the College of Law. George was admitted to legal practice in February 2018. At McKean Park, he predominantly practices in the areas of Commercial Litigation, Insolvency and Construction Law.